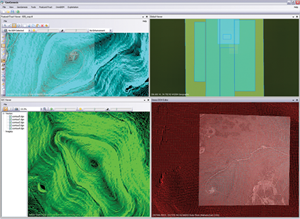 OmniDEM® is an efficient digital terrain elevation modeling (aka DEM/DTED) software system. Its sole purpose is to maximize the efficiency of terrain modeling by providing accurate and easy-to-use precise software tools. 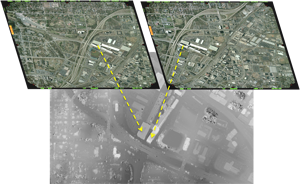 Through its tight integration with geo parameters and standards, OmniDEM allows users to explore, discover, and accurately model terrain in stereo data and truly forge ahead with advanced processing tools for DEM/DTED generation. 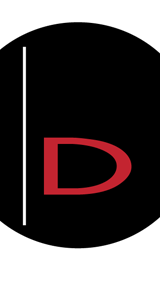 The system offers DEM generation, editing, fusion, and management tools using a wide variety of aerial and satellite stereo imagery sources. OmniDEM is now fully integrated with IApioneer. 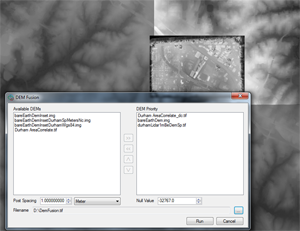 Using OmniDEM, you can easily generate extremely dense DEMs, often at or near resolutions approaching LIDAR (but without having to manage the extreme data sizes). Using OmniDEM you can easily combine multiple DEMs with different coverage's, resolutions, and accuracies and form a single DEM. OmniDEM® is now fully integrated with IApioneer™. See more in What’s New.